Search engines read text to know the topic of a page. There are three tags that specifically alert the search engine to what a page is about: title, description and keywords. These are sometimes calledmeta tags. LinkskyVISUAL provides an area to enter and edit these tags. 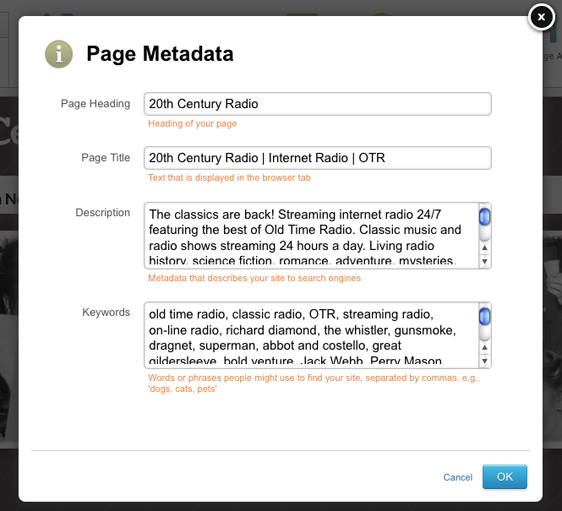 To access this area click on Page > Page Properties > Metadata.